When is the best time to photograph a newborn? Newborn photography is ideal in the first 4-10 days of the baby’s life. However, it is possible to take the photographs of them up to 3 weeks old. During the 4-10 period babies tend to sleep longer and will more easily retain some of the natural curl from when they were in mummy’s tummy, which results in the cute shots you can see in my newborn gallery. When to book a newborn photo session with you? Ideally before the baby is born, anytime after your 20 week scan. Once you book your photography session with me, I will add your expected due date to my diary and usually pencil you in for a session approximately 8-10 days after your due date. Obviously babies tend to be less predictable than that and so depending on when the baby decides to make his/her debut, we will decide a final date for the session accordingly. Once baby has arrived, please have someone contact me within 2 days of baby being born, in order that we can set a final date for your newborn photography session. If however, your baby is due fairly soon or has already arrived, feel free to call me, as I may be able to fit you in. In order to provide my clients with the best service possible, I shoot a limited number of newborn sessions a week. To avoid disappointment, it is best to book as early as possible. Is there anything I need to do to prepare for our newborn photo session? It is advisable to arrive at my home studio with your baby needing a feed. That way, we can begin the photography session with your newborn taking a feed which will hopefully make for a sleepier and more content baby. Tea, coffee and biscuits are provided during the session, though you are welcome to bring along any additional drinks or snacks. What can I expect from my newborn photography session? My aim is to provide a relaxed session for you to sit back and enjoy, while I encourage your baby off to sleep and place them in various poses to create some beautiful keepsake images. It is very difficult to predict how long your session will last for. Babies are so unpredictable and so are baby photography sessions. On average newborn photography sessions with me start at 10am and last between 3 and 4 hours but this always depends on the baby. I allow time to sooth, feed and pose your baby. My approach is not to set a time. You will have all the time necessary to create the most beautiful images for you to treasure forever. But most importantly you will see that your baby is never put at any risk. As a member of BANPAS (the Baby and Newborn Photography Association), the most important part of the photoshoot is ensuring your baby’s safety at all times. Can other members of the family join the photo session? Absolutely! The session aims to capture not just your baby but also the connection between the new baby and the family. So I will encourage you to have some shots with your baby too. Believe me, these are the most precious ones when you will be looking back to the pictures in few years. Siblings shots can be included too, though siblings may be better joining us at the very start or towards the end of a newborn photo shoot only. Four hours can seem a very long time to a toddler! If you wish to have siblings photographed, please inform me in advance. What if my baby has an accident? It is perfectly normal (and expected!) that your baby will wee and poo during his/her newborn photography session. Please don’t be worried. I have plenty of blankets and props should we need to change the setup due to an accident. And please rest assured that all my blankets are washed in non-biological washing powder after every newborn session, regardless of whether there have been any accidents. What happens if my newborn doesn’t sleep? It is unlikely that we will not be able to get your baby to sleep at all – I’ve got a lots of techniques for trying to get your baby to drift off! And during the times that baby is alert and awake, I will still continue to take photographs of them. Do I need to bring any props with me to the newborn photography session? No, I have a large selection of blankets, backgrounds and photography props that you will be able to choose from. However, if there is a particular hat, bonnet, blanket or soft toy that you want your baby to be photographed with, then of course, please feel free to bring it along and we will incorporate it into some of the images. Why is newborn photography more expensive than high street photography? I understand that a specialised newborn photographer can be considered expensive if compared against the high street photographers. However, please try not to compare us in the same way. Many photographers base their businesses on quantity and therefore they need to book as many photography sessions as possible which means you will be allocated 30 minutes and not more and the photographer will try to get the most out of that time. This is not what newborn photography is about. 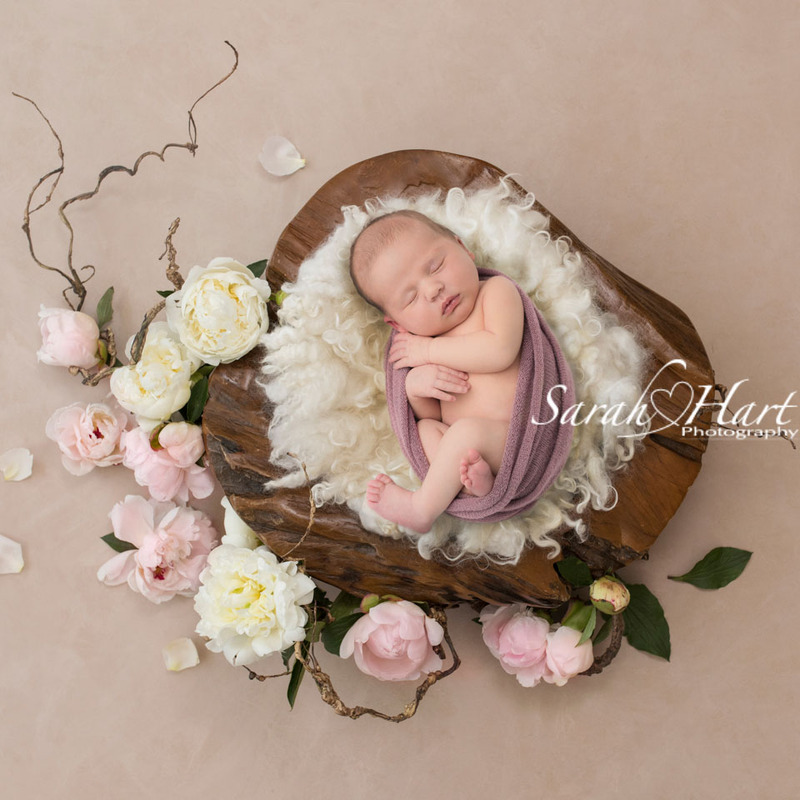 Newborn photography is about taking time to create wonderful pieces of artwork of your baby. It is not about rushing for the best shot possible in the shortest amount of time. My newborn sessions are relaxed and enjoyable. It is about capturing your little bundle of joy who is only that tiny for such a small period of time. Please think carefully about who will you want to do this for you. Yes, I do and digital packages are available. However, please understand that taking the photographs is only a part of the process in creating the art which will hang in your home. Not only do I enhance the images by removing scratches, marks and flaky newborn skin, tweaking colours and using other post-production techniques but I have spent time sourcing high quality labs that will produce outstanding prints and products for my clients.